What Is the Best Natural Way to Remove Women's Facial Hair? Spring rolls can be deep-fried. 2 What Is the Best Natural Way to Remove Women's Facial Hair? Spring rolls are an appetizer common in many Asian cuisines. They may be deep-fried and crispy or served cold, sometimes called "fresh spring rolls" or "summer rolls." If you want to introduce your kids to these vegetable-filled treats without frying them, you can either make fresh spring rolls or imitate the crispy texture of fried spring rolls by baking them. What all spring rolls have in common is the wrapper. Unlike egg roll wrappers, which are made of wheat flour and eggs and are similar to fresh pasta, spring roll wrappers are made of edible rice paper. Look for packages of spring roll wrappers, which may be square or round, in Asian markets, specialty grocery stores or in the produce section of the grocery store. Stored dry at room temperature, spring roll wrappers are translucent and brittle. When you soak them in warm water, however, they become pliable and turn white. Spring rolls have different fillings depending on what country they're from and whether they're served fresh or cooked. Deep-fried spring rolls, or the healthier baked version, will generally contain a mixture of vegetables and meat cooked with salt, pepper, sugar and soy sauce. 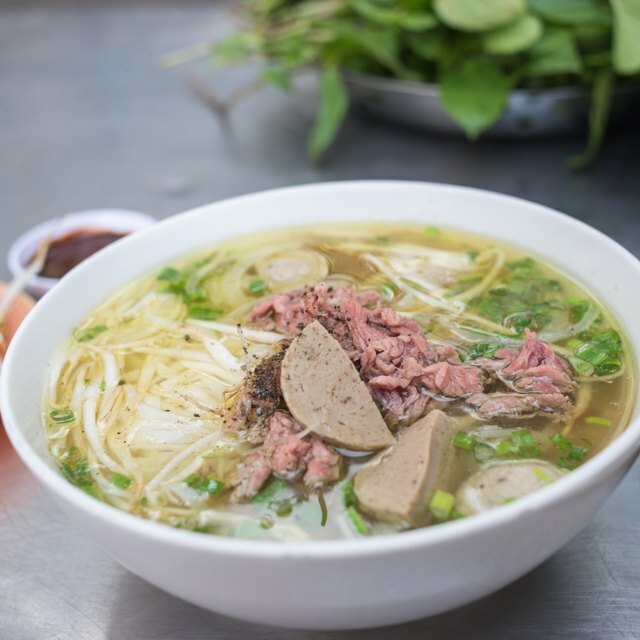 For example, you might use ground pork and shredded napa cabbage, or minced shrimp and shredded jicama and carrot. Fresh spring rolls generally contain cooked and chilled seafood, such as shrimp or imitation crabmeat, cellophane noodles, which are thin, clear noodles made out of bean starch, lettuce leaves, shredded carrots and fresh herbs, such as mint and cilantro. Rolling spring rolls is the most difficult and time-consuming part of the process. To begin, submerge a spring roll wrapper in warm water just until it becomes pliable. Remove it from the water and let it rest on a clean towel for about 30 seconds. Arrange your fillings in a straight line in the middle of the wrapper, pointing in a diagonal if the wrapper is square. Leave at least a 1-inch border around the edge. Fold one side (or corner) over the fillings, then fold in the sides and roll the spring roll into a cylinder. If you roll tightly enough, the wet rice paper should stick together and keep the fillings in place. To bake spring rolls, brush them with vegetable oil and bake at 325 degrees Fahrenheit for 15 minutes on each side. 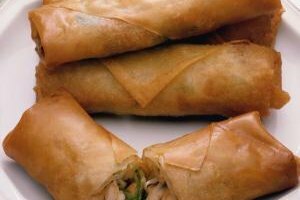 To store fresh spring rolls, cover them with a damp paper towel until you are ready to serve, or the wrappers may become brittle. Serve the spring rolls with dipping sauce, such as a traditional hoisin sauce or a cool, creamy ranch dressing.